The answers to your questions: it is not as good as To Kill a Mockingbird. You don’t have to read it. That is not to say you shouldn’t, or you won’t enjoy it – I did – but you don’t HAVE to read it. It is precisely what it is purported to be: the story of Scout Finch, all – or almost all – grown up. It is also a rough draft of sorts of Mockingbird; there are passages that were taken straight from this book and put into that one, some descriptions of Aunt Alexandra, the history of Maycomb’s founding, that sort of thing. It is not the same book, retold at a different time; it is also not the sequel, as there are several small details that do not mesh with Mockingbird — Cousin Francis is Alexandra’s son, not her grandson; the Radley family is missing entirely, but there is a reference to another boogeyman who sneaks out at night and eats cats. For someone who has never read To Kill a Mockingbird, this would likely be a good, but probably not a great book. This is me theorizing, of course, because I’m a high school English teacher, and I’ve taught Harper Lee’s masterpiece (It gave me a laugh to look inside the front cover and see “Also by Harper Lee:”) and read it a dozen times. I think the reality, the tangible, concrete weight of the characters and their personalities was already in me from Mockingbird, and I’m not sure it would be present for someone who didn’t read that book. This book’s central conflict climaxes with more speechifying, as if Atticus’s closing argument were moved to the final chapters and combined with the conversations about Boo Radley and Jem: more slow buildup and a longer period of talking through it. But the writing is still Harper Lee, and it is still wonderful: there is the same elegant prose, the same remarkable ability to switch from formal to casual, the same ironic humor, the same incisive understanding of the people and history of the South, and it’s still a joy to read. So I would recommend it. For those who, like me, have read Mockingbird and loved it, you should think carefully. This book is good, but it is not a masterpiece. The wonder of Mockingbird hinges on the choice to make Scout a child. That simplified the story, and enabled Lee to treat race and hate and human nature with innocence and simplicity – through a child’s eyes. The adult Scout – now Jean Louise, an emblematic change – doesn’t have it so easy. She is much more reflective, thinking about what people say and whether they actually meant it or not; trying to decide whether their words and their character are a match to what she remembers of them from the past; trying to decide for herself where she belongs, and what she loves and what she can’t stand. 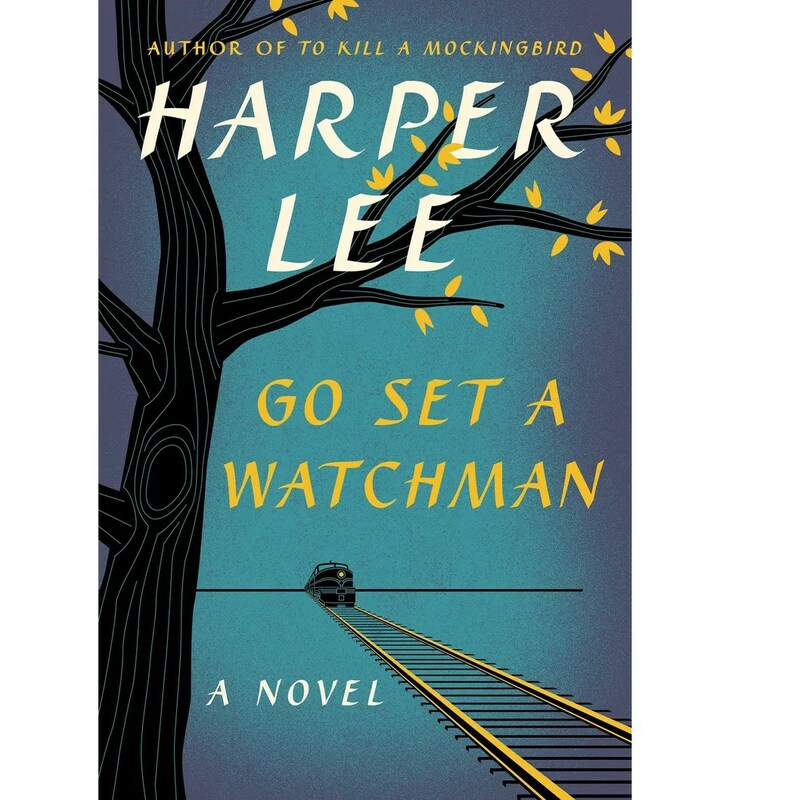 The characters that were simple are now not, particularly – and most tryingly – Atticus. In Mockingbird, Atticus is the perfect father-hero. But now, Scout is older, and in this book, she finishes growing up. And it hurts to see Atticus the way she is forced to see him. It made this book hard to read. And, to tell the truth, so did Lee’s erudite references to Victorian authors and 1950’s historical and cultural icons, several of which I did not understand. I would absolutely recommend this book as an exercise in the writer’s craft to those who teach Mockingbird, and to those who write themselves and know Lee’s classic. It is fascinating to see the changes between this earlier book and the later one, to see the author’s choices that made that book great, and this one less so. For those who love Mockingbird for its own sake? If you think you can handle it, I would highly recommend this book to you, too. Because just like Scout, I think we need to grow up, and see our heroes in a more human light. And even though this book is more complex, more troubling, it is the difference between idyllic, idealized childhood and murky, gray-shaded adulthood; and this is still Scout. It’s still Atticus. It’s still Maycomb. It’s still Harper Lee. It was wonderful to go back and see it all again.